This week we begin a new 8 week sermon series through the book of Daniel. “In reading [it] one senses that the work was composed in response to some of the pressing questions men and woman have always asked themselves, especially in moment of adversity: What is the meaning of the human enterprise? What sense can evil and suffering possibly have? If God is all just and all powerful, why does he remain silent and inactive when men, women, and children suffer unjustly? What lies in store for people after death? If there is retribution for a person’s moral decisions, when and where will it take place? Is there more to human existence than tending to one’s needs and attaining a place in the world? If God has spoken to men and women in Israel’s history, what does that truth imply for us – the believer today? In light of the chaotic and destructive forces in human history, can one seriously affirm that God exists, or perhaps more pointedly, that God really cares about what happens to people? Most biblical scholars assert that the Book of Daniel was published as resistance literature for a persecuted religious minority of the second century BCE. What seems equally clear for many is that the book provided for those afflicted Jews (in the horrific Maccabee persecution under Antiochus IV Epiphanes around 160 BCE in particular) consoling and encouraging answers to many of the above questions. This brings us to the question for us in 2013: Does the Book of Daniel have any relevance for an aimless and practically non-religious majority of today who are looking for something more out of life than the satisfaction of material, psychological, and emotional needs? Isn’t it a bit much to expect one to lose one’s most precious possessions, including personal freedom and even life itself, in order to gain oneself as a person at the deepest level of one’s reality and being? We each have the choice to accept or reject God as constitutive, or at the center, of what it means to be both truly human and alive. We can’t be neutral. Even Jesus says we’re either for him, or against him. Not choosing, is in itself a choice, perhaps the worst possible. The person who in faith lives by God’s declared will when other options are available is in a minority in our postmodern, casuistic, ego-centered, possession-driven, beauty-obsessed culture. Those who live in faith by God’s grace become, like Daniel, a signal and symbol of transcendence, or something different, for many who in quiet desperation concern themselves chiefly, if not exclusively, with the needs and cares of a this-worldly existence that hopes for nothing beyond what we see and the grave. Many read the book of Daniel for the prophecies. Yet that’s only half the book. The first half (chapters 1-7) contain six edifying stories or what it means to live faithfully in the face of the temptation to accommodate to a larger culture, to find the strength to resist in cultural displacement, to work for and from the will of God, to live faith faithfully as a minority in a opposing dominant culture.” Do we only do the will of God because we’ll be rewarded for doing so? Is it better to remain steadfast and possibly suffer or to compromise and find easier, possibly longer life? Can we say and believe that God has a plan in history, bringing the world to a particular end? These stories, often read only in Sunday School, illustrates the challenge and testimonial authority of steadfast God-centered life as a minority people. Daniel is hard to date. Some say that it’s written during the 6th century BCE during the time of religious persecution it describes (605-530 BCE). Other say it was more likely written in the 2nd century BCE, another time of religious persecution which is addressed through a retelling of the past. Does it have to be historically accurate to be truth or to speak truth? Daniel is the only book in the Bible that is written in multiple languages. Most of chapters 1-7 are in Aramaic, whereas chapters 8-12 are in classical Hebrew. The Catholic Bible contains a longer version (originally written in Greek) of the book. Throughout the book of Daniel the writer emphasizes the sovereignty of God. That’s the theological term for the biblical teaching that all things are under God’s rule and control, and that nothing happens without His direction or permission. In today’s text we see that in particular in v.2, 9 and 17 in which God is portrayed as in control of everything. Daniel – and his friends – are described as “maskilim” [in Hebrew], meaning well versed, wise, or learned. They are people of discernment who make a difference in the world by the power of their insight and vision as opposed to their arms and weapons. How is that an invitation to us today in the way we live out our faith? 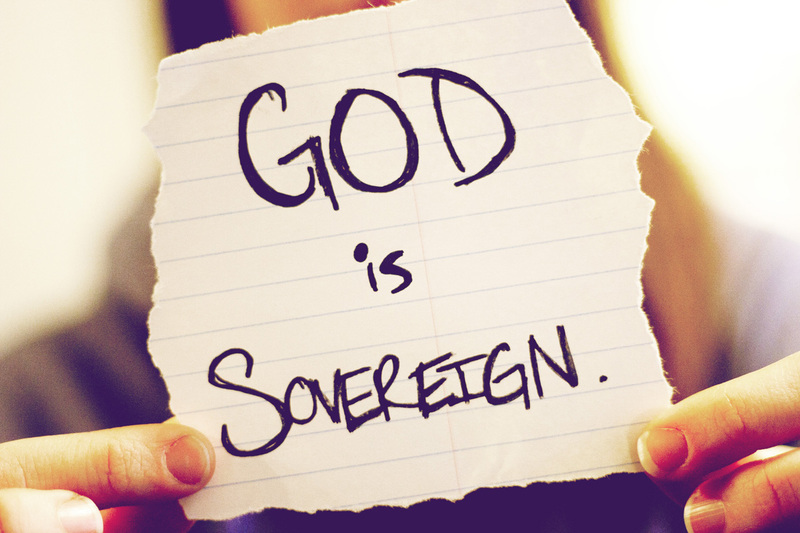 Is God really sovereign – or in charge of everything? How do you know? Does God will us both good and harm? ; grace and judgment? Think of Daniel what was non-negotiable for him in terms of his faith and identity? What principles of Christian faith are non-negotiable for you in your/our Christian identity today? What are you willing to let go of as not essential in order to live faithfully among the messiness of human life in the 21st century? Are we, as followers of Jesus, a persecuted minority? How? … Why not? Can anything happen that’s not God’s will or plan? Are we merely marionettes, puppets whose strings God pulls? How do you understand that in the wake of the Boston bombing and the other losses in our church community in the past two months? How does this text give you hope in the mysterious and quiet working of God in history and our reality? The quoted section is taken from The Book of Daniel. (Anchor Bible Commentary) L Hartman & A Di Lella. p. 104-106. God & Empire. John Dominic Crossan. Out of Babylon. Walter Brueggemann. Reclaiming the Bible for a Non-Religious World. John Shelby Spong. Apocalypse Against Empire. Theologies of Resistance in Early Judaism. Anathewa E. Portier-Young. 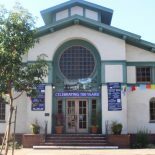 This entry was posted on April 23, 2013 by capcoakland in Grow and tagged Blogging Towards Sunday.